From pillowy soft savory biscuits too fluffy pancakes topped with delicious syrup, brunch in Norfolk never disappoints. No matter what your taste buds are craving, these popular brunch spots have all the essentials. 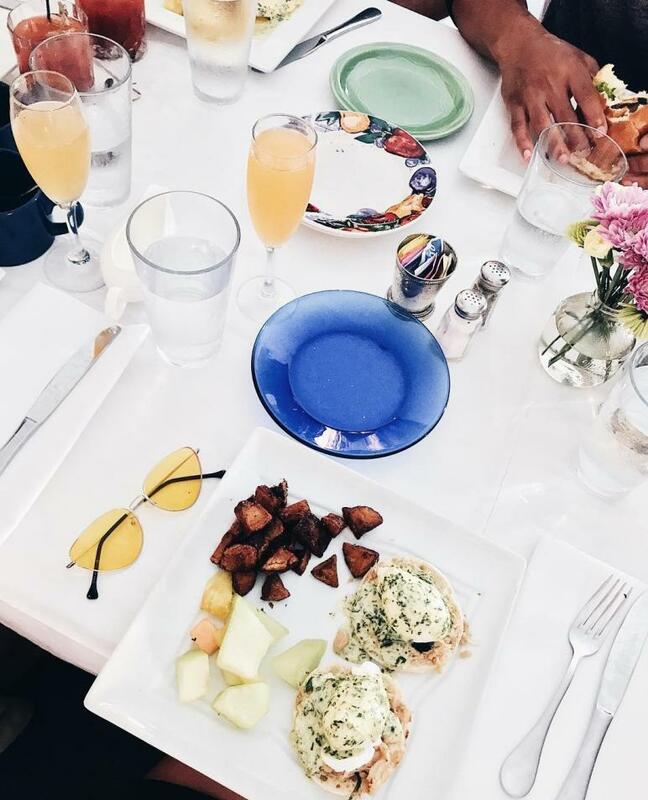 Gather your brunch squad and get ready to dig in! (Pictured above) Ask any local for a brunch recommendation and we can guarantee that Handsome Biscuit is at the top of their list. This trendy biscuit shop popped up in 2013 and has been slinging the best breakfast sandwiches ever since! Don&apos;t forget to add the #LupoSauce! Looking for a fancy Sunday brunch? Omar&apos;s Carriage House is the perfect spot. Located in the historic Freemason District, Omar&apos;s serves up classic dishes such as Egg Benedict, pancakes and more, but one item that you can only find at Omar&apos;s is their Lobster Waffle. This savory dish is a crowd favorite! The name says it all. Toast, located in Park Place, is known very well for there, uh, toast. This isn&apos;t your average slice of bread; Toast makes their bread in-house and with lots of love. Try the house favorite - the Smoke Salmon topped off with Nova Lox, caper butter, crème fraîche, and everything spice. Located at, you guessed it 456 Granby Street is 456 Fish. Sometimes, Sundays can be a hot mess, but if you order A Hot Mess at 456, it will make those problems disappear. A Hot Mess features a Chicken Fried Steak, O’Brien Potatoes, sautéed sweet peppers and onions and is smothered in white gravy, all on top of Texas Toast with a fried egg and cheddar. We can&apos;t talk about brunch and not mention Little Dog Diner. 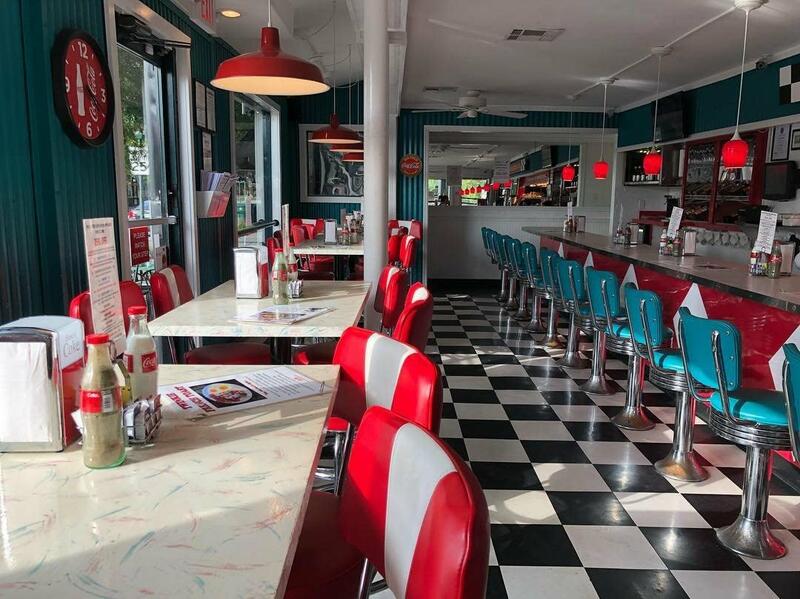 This retro-style eatery is the perfect place to go if you are craving a classic diner meal. Grab a seat at their bar and order yourself a Way Down South benedict, a classic dish with a southern twist. Wine isn&apos;t the only thing that Press 626 does well, their brunch is just as wonderful. Like their wine list, Press 626&apos;s brunch menu has so many tasty options that it might be hard to decide. Brunch shouldn&apos;t be about tough decisions, so do the right thing and order a Monte Cristo sandwich for the table while you decide on your main entree. We promise that you won&apos;t regret it. 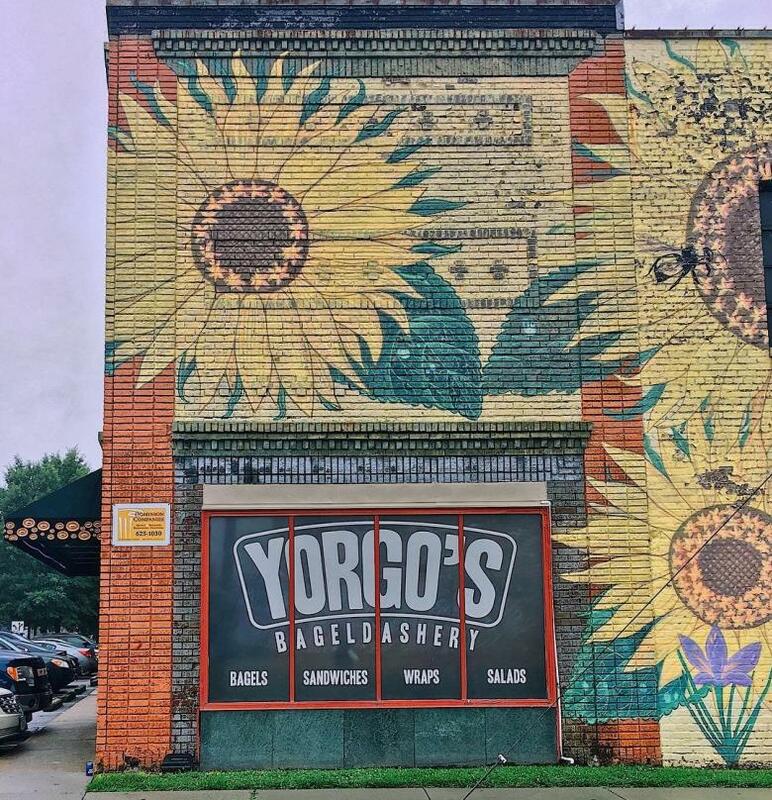 Yorgo&apos;s is a beloved bagel shop located in the heart of Ghent. This is no ordinary bagel shop, it&apos;s a Norfolk landmark. If a bagel is what you are craving, Yorgo&apos;s bagels are the real deal. They specialize in New York-style kosher water bagels. No need to order a burger for Sunday brunch when 80/20 Burger Bar is serving Cinnamon Roll Pancakes. This dish combines two delicious brunch treats into one unbelievable meal. The only way to wash those fluffy pancakes down is with one of their tempting brunch libations. 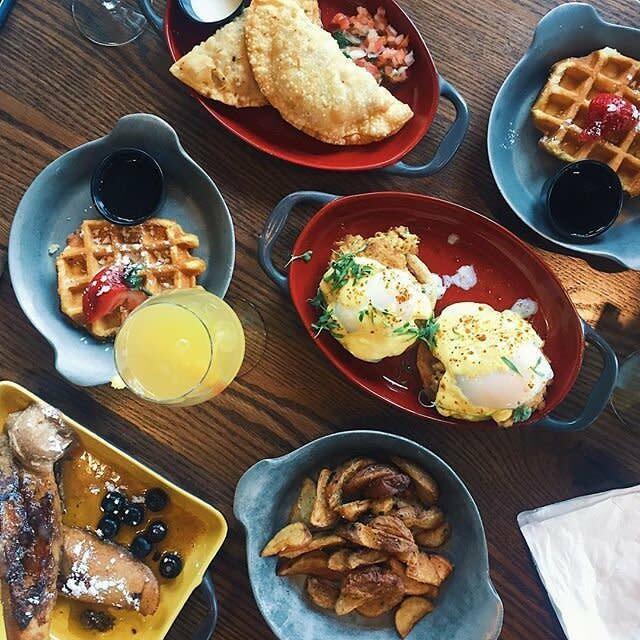 Every Sunday, locals and visitors alike flock to the fifth floor of 100 Granby Street to enjoy brunch at Grain. The incredible views of the waterfront, paired with tasty bloody marys and mimosas make for a picture perfect Sunday brunch. Norfolk&apos;s best brunching doesn&apos;t end here, check out our restaurant guide for more mouth-watering dining options!